Nayoung Aimee Kwon is Associate Professor in the Department of Asian & Middle Eastern Studies, the Program in Gender, Sexuality, and Feminist Studies and the Program in the Arts of the Moving Image. Her research areas include literary criticism and translation studies; film and media studies; intellectual history; postcolonial theory; gender and sexuality, with particular focus on inter-Asian and transpacific (Asian/American) cultural encounters. Her current research examines the contested politics of cultural memories, with particular focus on historical conflicts and their legacies in East Asia and the Asia-Pacific. Select publications include Intimate Empire, published by Duke University Press (Korean translation from Somyŏng Press) which examines the forgotten lure of the imperial language in the contested colonial history between Korea and Japan, Antinomies of the Colonial Archive (co-edited with Takashi Fujitani) which explores colonial-era cinematic co-productions and contested postcolonial legacies in East Asia, and various articles in journals such as Journal of Asian Studies, Postcolonial Studies, Social Text, Cross-Currents. With collaborators at Duke University and TNO/University of Netherlands, she is developing a hybrid platform infinite strategy game (ISG) about historical conflicts. She is a translator of literature and manhwa/manga from Korean and Japanese into English, and co-director of Duke Engage South Korea, a program working with refugees and migrants. Her research and teaching interests also include inter-Asian and transpacific transcultural co-productions (literature, film, theater); literary and filmic exchanges; theories of empire, translation, and postcoloniality; globalization and transpacific migrations and cultural flows between Asia and America. She has taught at UCLA, Arizona State University, and Duke Kunshan University. 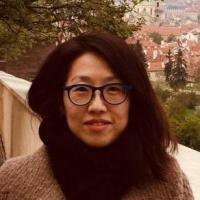 Nayoung Aimee Kwon is Andrew W. Mellon Assistant Professor of Korean and Japanese Cultural Studies in the Department of Asian & Middle Eastern Studies, Women's Studies and the Program in the Art of the Moving Image. She is currently working on her book manuscript Translating Empire: the Conundrum of Collaboration in Korea and Japan (forthcoming from Duke University Press) which examines the broader problem of colonial modern and postcolonial contestations in East Asia. This issue is examined through interactions of Japanese and Korean writers and translators in the Japanese empire and their controversial postcolonial legacies. Her research and teaching interests include transcultural co-productions (literature, film, theater) between Korea and Japan; Korean and Japanese literary and filmic exchanges; theories of empire, translation, and postcoloniality; globalization and transpacific migrations and cultural flows between Asia and America. She is also a translator of Korean and Japanese literatures into English. Kwon, NA, Japanophone literature? A transpacific query on absence, Mfs: Modern Fiction Studies, vol. 64 no. 3 (September, 2018), pp. 537-558, Johns Hopkins University Press [doi] [abs]. Kwon, NA, It's Madness: The Politics of Mental Health in Colonial Korea, The Journal of Asian Studies, vol. 76 no. 3 (August, 2017), pp. 819-821, CAMBRIDGE UNIV PRESS [doi] . Kwon, NA, Disavowal and Intimacy, Sanghŏ Hakpo, vol. Vol 49 no. 1 (2017) . Kwon, NA, The Proletarian Wave: Literature and Leftist Culture in Colonial Korea 1910–1945 by Sunyoung Park, Harvard Journal of Asiatic Studies, vol. 76 no. 1-2 (2016), pp. 266-269, Project Muse [doi] . Kwon, NA, Intimate Empire Collaboration and Colonial Modernity in Korea and Japan (June, 2015), pp. 296 pages [abs].